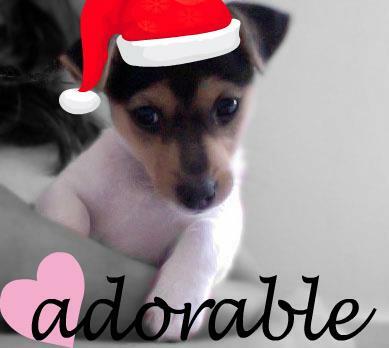 This Is Bella, She Is 13 Weeks Old...I Took This Picture And Then Added Some Stikers On The Picture Online. :) Bella Is Pretty Smart, She Knows (Sit) & (Spin) She Is Also Bright :) And Beutiful! Bella Came From A Breeder And Had No Home But I Adopted Her And Gave Her All The Love! Love your photo and the additions you made to it. Bella is so sweet looking. I bet she brings you much joy and happiness. Did you use that picture as a Christmas card?